My first encounter with drink was a romantic one. Picture this: Bolzano, Italy. 1989. The mid-summer night air is cool. 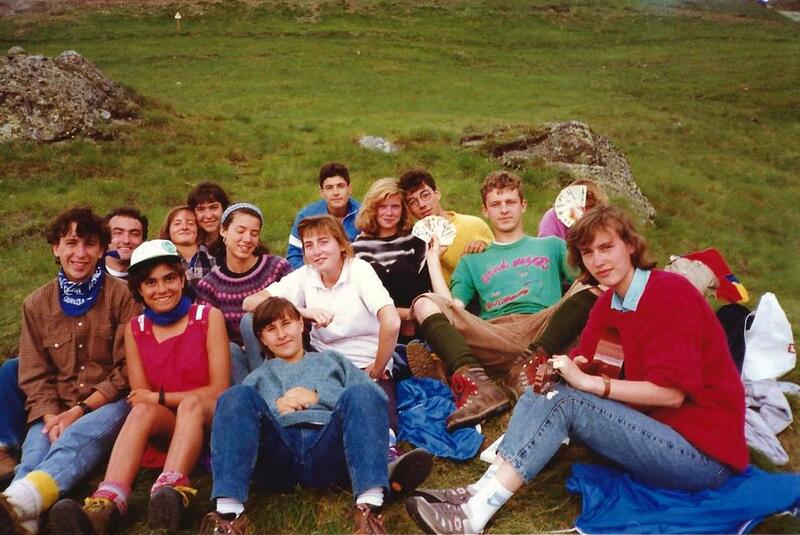 A virgin girl from southern America sits in a tent in the Dolomite mountains with a group of people she now considers friends. In the years to come there will be letters sent to and from old Italia. One of these friends will visit America several times. But I digress. This virgin girl (okay it’s me) has never touched her lips to a sip of alcohol, although she did sneak a biting puff off one of her grandfather’s Winston smokes in his basement back in Tennessee. Hack hack. The cigarette addiction won’t start for another four years. 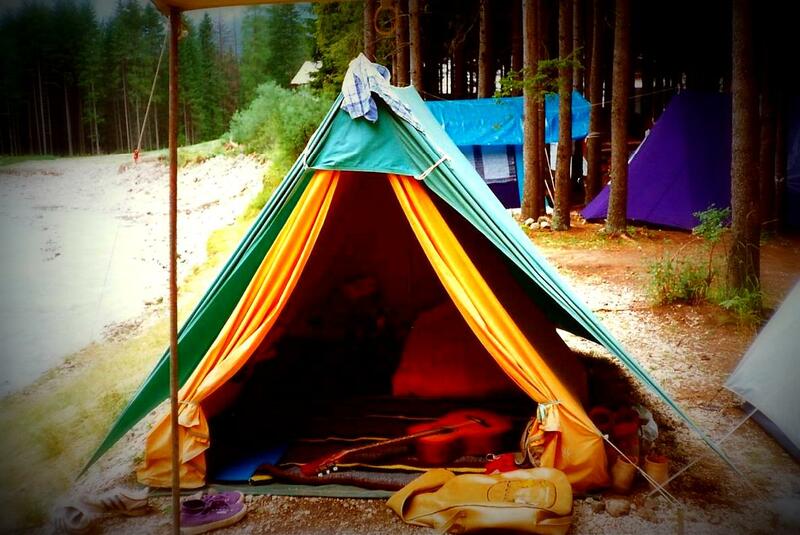 In this tent after a long day’s hike these friends pass around a bottle of grappa. Grappa, as defined by Wikipedia, is a fragrant grape-based pomace brandy of Italian origin that contains 35-60% alcohol by volume. As defined by me it was a kind of heaven. I was hesitant at first. I wasn’t sure what it would do to me or how it would taste. I can hear them all now. “Janifehr! You must try the grappa! Is so very good. Will make you feel quite warm!” As each one took a sip and passed it I scanned the bottle carefully as it made its way closer. A homemade label wrapped around the clear glass. The purple liquid inside was the hue of happiness. Bloated, wine-infused berries swam at the bottom of this drunken sea. The bottle was passed around until every last sip, every last berry was ingested and absorbed. I don’t remember feeling particularly drunk. Just happy. That could have been partly because I was in one of the most serene and beautiful places ever, surrounded by some of the most engaging and beautiful people ever. And it could have been partly because of the grappa. My belly was warm. My cheeks were red. And I had a difficult time jumping over the fence surrounding the campsite when we decided to go out for ice-cream. They let me keep the bottle. It now sits on the 1920’s buffet table I inherited from my great-grandmother. I cannot believe it has survived all the moves and balls tossed around. Whoever shall accidentally break it will surely pay. I carried that thing all over Italy. Back home to America. High school bedroom. College dorm. First apartment. Second apartment. In a moving truck from Tennessee to Florida for a week with everything I owned including all my non-duplicated poems and stories. Two more houses. A villa. That bottle reminds me of my sense of adventure. My love for wine. My youth. Friends I don’t hear from anymore but at one time were there to share a most magnificent summer. The Dolomites and all its green, goat-pastured, dandelion-covered, dreamy landscapes. It reminds me that some things don’t get broken. Memories clear as the glass they were drunk from. Experience rich and sweet and full like the berries at the bottom. And thank God that first encounter with drink was not Mad Dog 20/20 on someone’s basement floor. 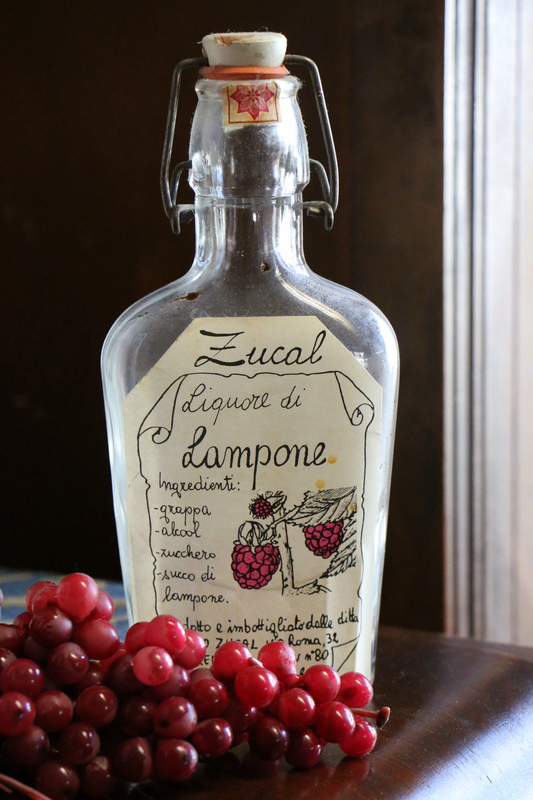 Oh my goodness, my old roommate’s boyfriend used to get drunk on Grappa – that stuff is STRONG! Excellent, Jen. I used to love Grappa!